1. Developing and Supporting a Benchmarking Program for Grass-Milk Farms in the Northeast. The rate at which farmers are converting to grass-fed dairy production exceeds the capacity of technical assistance programs to provide one-on-one help to assure the farm is getting accurate and relevant information. These opportunities don’t fit every farm and farmers should be well aware of any potential risks as well as the opportunities. There is need to collect information from first adopters to quantify how management and genetic selection differences effects the success of these producers. Farmers need support determining what herd size their land base can support, what soil and forage quality improvements will be needed, and to understand the financial pros and cons of grass-fed dairy production. This project will build on a current USDA SARE project that is collecting a variety of information from 20 first grass-fed milk adopters to quantify how management and genetic selection differences effects the success of these producers. If this project is funded it will allow our team to collect an additional year’s worth of production data that will help us produce outreach materials (webinars, booklets, conference) which will provide farmers information on key management challenges, how to avid common pitfalls, and provide the benchmarks known about grass-fed farms in the Northeast. This project will teach all five areas of risk management education to 50 farmers that are planning or already engaged in an agri-tourism venture. Five seminars will focus on each risk management category and will be followed by a day-long farmer panel with existing agri- tourism businesses in the region that have been successful mitigating risk. The seminars will be half-day, 4-hour programs. Participants will work on their risk management plans in-between seminars using the material presented. A total of 26 contact hours for instruction and panel. Instructors will be experts in each of the five risk management categories and will come from Extension and other fields. By utilizing ZOOM, distance learners in adjoining counties will connect with the local extension and make access to a local program easier, and offer a low-cost way to attend. At least 10 farmers at each site will participate in Delaware, Otsego, Schoharie, Ulster and Sullivan. The target audience is new and existing agritourism businesses in the 5- county region that is considered the Western Catskills. The panel will reinforce learned material, making it “real” by connecting to existing businesses. A risk management plan will be completed by the end of the program. In many of the Agricultural Law workshops, most questions are typically directed at farm succession and estate planning processes. Although the University of Maryland has written materials on farm succession, including business planning, estate planning, and communications, few educational outreach activities have attempted to bring all this together. We seek funding to host a series of workshops focused on farm succession planning for producers. These workshops would utilize existing materials and University of Maryland specialists to address business planning, communication, and basics of the estate planning process to prepare participants to begin the farm succession planning process. Finally, we would host a series of webinars covering the workshop topics to be made available on the University of Maryland Extension’s Farm Succession Planning page. This proposal would partner with the extremely popular Mid-Atlantic Women in Ag and Annie’s programs. All but two proposed workshops will be held in conjunction with one of their events and will maximize attendance at the program. Additionally 2 workshops will be conducted separately to capture participants not in attendance at the Conference or Annie’s Project. 1. Five educational workshops offered regionally in Maine (locations: Houlton, Bangor, Rockland, Portland, Lewiston). Farmers (n=100) will attend a workshop about improving family and business communication. Each participant will complete a Needs & Wants worksheet, practice listening skills, create a goal, and identify steps towards it. 2. Farm Family Coaching Program consisting of four, 2-hour meetings with two coaches. 12- 15 families will be accepted from workshop participants that apply from a range of geographical locations. Coaching will engage farmers in practicing communication skills and increasing understanding of the impact communication has on productivity and efficiency. Coaching will be available on farm (in-person), and videoconferencing, and the delivery method will depend on farmer preference, coach availability, and geographical proximity to coaches. It is expected that at least two members of a farm family will participate in this component. Farmers (n=24-30) will develop a set of goals and a plan to reach the goals. Farm families that are not selected (n=unknown) to participate will receive educational information related to communication skills that they request. 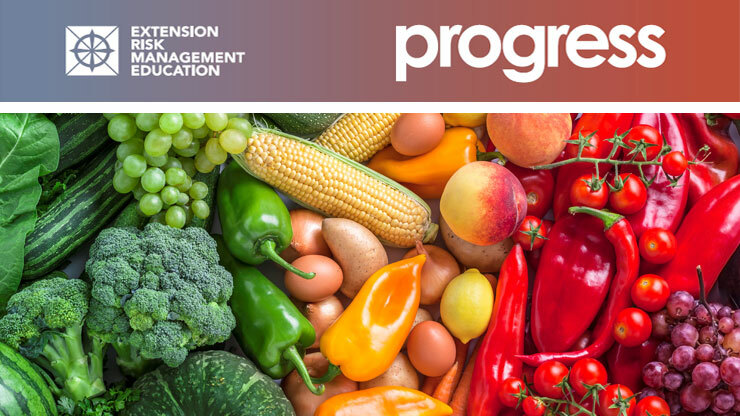 This financial risk management education project will help current and aspiring commercial urban farmers in in the Baltimore and Washington, DC metro regions move from crisis- management to proactive risk management. In our work with urban farmers we have observed their struggle with this transition. Many farmers get overwhelmed by the daily challenges of farming, spending their time seeking short-term financial solutions to keep their urban farms afloat. This project will help urban farmers use risk management strategies to move from survival mode to a more proactive understanding of what their farm needs to thrive. Our primary implementation tools will be to (1) compile a first edition guidebook for urban farmers in Maryland, (2) convene four focus groups (~20 participants) to gather farmer input, (3) offer five Farmer Field Schools (~125 participants) at urban farms to pilot our educational materials, and (4) launch the guide in both hard-copy and online formats at three regional farmer winter meetings (~200 participants). Field School participants (~125) will commit via a learning contract to take one financial risk management action to improve their urban farm’s financial viability. We expect ~50 participants will have successfully implemented the action to which they committed by spring 2019. Beginning farmers often have production experience and a strong work ethic. The process of finding farmland, however, is not often clear to these famers and they face significant human, financial and legal risks. American Farmland Trust (AFT) and our partners propose the Helping Beginning Farmers Manage Risk and Succeed in Finding Farmland in New York project to aid beginning farmers in managing risks in finding farmland and developing successful farm businesses. The project includes a three-part series of workshops offered in two locations in New York – Hudson Valley and western New York. These workshops will adapt materials from AFT’s national Farmland for the Next Generation training curriculum, developed in concert with the USDA Beginning Farmer and Rancher Development Program and Farm Credit, including presentations, self-assessment worksheets and checklists, and peer-to-peer learning. Participants will receive training on the National Young Farmer Coalition’s Finding Farmland tool. Lastly, participants will develop a Finding Land Action Plan and receive coaching to help implement their plans. As a result, 30 beginning farmers will develop a deeper understanding of risks in the farm search process, access and develop tools to mitigate risks and make informed decisions, and receive one-on-one support in their search for farmland. This project will develop tools to help vegetable growers plan and implement practices that improve soil health, including cover cropping, nutrient management, and soil erosion mitigation. Adoption of these practices will facilitate compliance with new water quality regulations in Vermont by small- and medium-scale diversified farms that are the majority of the state’s producers. The tools will include a cover crop selection and management guide, an erosion risk assessment and control guide, and nutrient management planning and recordkeeping templates. These tools will be available on an interactive web platform that allows growers to create farm folders that can be accessed by the project team to provide individual technical support. Of the 150 growers that utilize this web-based resource, 125 growers with a total of 2,000 acres in production will upload soil test records and fertilizer plans, and 100 of those growers with 1,500 acres in production will document the implementation of their fertilization plans by uploading records of all soil amendments applied their fields. One hundred growers will also create cover cropping plans and 100 will create soil erosion mitigation plans. Seventy-five growers will upload documentation that they implemented their cover cropping and/or erosion control plans. “Maple Business Modules” will adapt current research findings into education materials for prospective and current maple owners. This project will create planning tools and curriculum for record keeping, analysis and decision making related to production risk, market risk and financial risk. This project will develop two 1 hour curricula (business plan and budget plan) that can be delivered at conference settings. Confirmed states include NH, NY, PA and VT. The project will design online maple education resources and interactive online business analysis tools. Proposed tools include: a multi-year yield averaging tool, a market channel measurement and revenue forecast tool, an annual budget tool and a business planning module. Online users will input data, analyze results and establish plans. Three articles will be published in industry magazines reaching 5,000 maple producers each time to provide foundational education on the evolving maple market situation and the potential market policies being discussed today. The project will result in at least 10 workshops in four states reaching 265 participants and 270 users of online business modules and resources. We propose 290 maple producers will complete business analysis tools that result in the development of plans and 50 will verify adoption/implementation of the plans. This project will help at least 150 beginner to mid-career farmers in Maine, New Hampshire, Vermont, Maryland, and Delaware reduce their legal risks by building knowledge in employment law, business structures, food safety regulations, leases, contracts, sales agreements, value added, and agritourism laws, and develop compliance or mitigation strategies. Few states have legal educational resources in these areas. Those that do simply house these materials on websites. We believe that farmers need a curriculum with a methodical approach to reach targeted learning outcomes that not only teaches them the law, but teaches them ways to limit legal liability for their operations. Our project will achieve these outcomes through educational materials and a guided on-line curriculum. Participating farmers will be able to comply with farm employment laws, maintain adequate records for food safety regulations, observe local and state zoning regulations, decide on an appropriate business structure, and draft effective contracts, leases and sales agreements. Participants will work through a self-paced, interactive, on-line curriculum consisting of videos, presentations, and exercises and participate in four weekly 60 minute web-based learning sessions. State specific information will be developed for each topic. All educational resources will be accessible to participants and non-participants alike after the program. Future Harvest CASA will develop and offer risk management training to help socially disadvantaged farmers with diversified operations improve their chances for commercial success. Training topics will address the education needs identified by Chesapeake region farmers in our recent survey: building efficient farm systems, marketing product, managing finances, creating value-added businesses, navigating regulations, and recruiting and maintaining employees. Our methods will be to use our core competencies, specifically peer-to-peer and expert-led workshops held in our Chesapeake Field School and at our annual winter conference in College Park, MD. Up to 300 total producers will attend the workshops held in the Central Chesapeake region; of those, 25 socially disadvantaged producers will attend via scholarship. We will survey scholarship attendees post-attendance to evaluate the program’s effectiveness. Our expected results are that, by the end of the 18-month grant period, 50% of scholarship attendees will have implemented new systems to manage economic risk on their farms.